Earlier this week an important experiment in the exercise of democracy took place in Northern Ireland. It was truly ironic that the final session of the Citizen’s Assembly into adult social care came at a time that both the parliament at Westminster and the assembly at Stormont are in a chaos. The first over Brexit and the second not functioning at all. Such is the discord in London that all bets are off over how we leave the EU, or even if we stay with no solution currently supported by enough MPs to make any progress at all. At Stormont the crisis is existential. So can ordinary people chosen at random do any better? 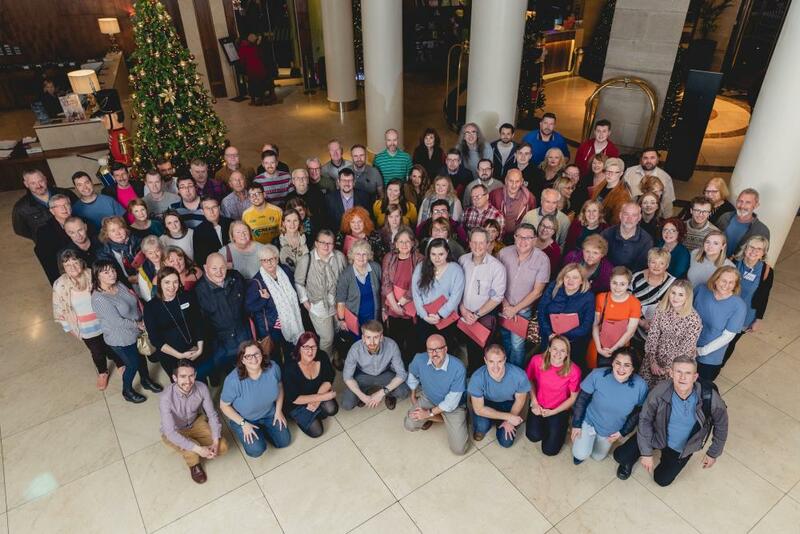 The Citizens Assembly met over two weekends. There were 77 at the first and two dropped out leaving 75. Over the period they listened to a range of experts who provided information and their own analysis of adult social care. The presentations and additional reading matter can be accessed on the Assembly website. This allowed for informed deliberation and debate, not always the case in political assemblies where the positions politicians take is more often defined by their party whips rather than any deep consideration of the matters in hand. And from that they voted on a series of resolutions which demonstrate a high degree of consensus amongst the citizens who took part. This suggests that once people are informed and can discuss problems together agreed solutions can and do emerge. There was a remarkable unanimity about many of them and some striking parallels with Power to People, the Expert Advisory Panel’s review of adult social care which we have previously analysed. And 99% want to see mechanisms in place to ensure that the voice and influence of both service users and the wider public is at the heart of the design of services. This is an enormous cultural challenge for the health service, shifting power from professionals to service users. It was also identified as a necessity by Power to People as a central requirement to fixing a broken system. There is also 93% support for streamlining the entire health and social care system to improve collaboration and avoid duplication. Delegates also expressed backing for the use of technology with 92% wanting to see improved usage both in assessing peoples’ needs and within homes to support independent living. They also debated one of the more difficult aspects of health reform – the need to shift funding from health into social care to give greater prioritisation to social services. This was backed by 77% - a surprisingly high figure given that this is generally regarded as highly politically sensitive and one for which there is little public support. This recommendation suggests that a better-informed public may think otherwise. That seemed also to be front of mind for delegates, 96% of whom voted that the public should be provided: “with clear information on social care need” and that public engagement about funding models should be initiated. Here we come to a problem that we also encountered with Power to People. We know that reform of social care will save money elsewhere in the system in the medium to long term. But there will be a cost to it. It is quite one thing analysing a failing system and recognising, as the Assembly did that it needs more funding. The problem is that we have no idea how much more is required and where that will come from. This is not the Citizens Assembly’s fault. At the time that Power to People was set up there was supposed to have been a parallel costing exercise on its proposals. This did not happen and no explanation has been given as to why not. So ultimately Assembly delegates were left choosing from a policy menu without knowing what the bill would be. They did pass one resolution where 79% called for a percentage of the regional rate to be ringfenced for social care, but this would ultimately involve working out what that percentage should be and identifying which other public services should miss out as a result. It would only be new money if rates were increased to a level to provide it. This issue of how we fund social care is at the heart of the debate. Social care, unlike health is not free at the point of delivery. So how do we fund needs now and into the future? An ageing population, a decreasing number of working age people to pay tax, falling fertility rates, immigration policies post Brexit all point to increasing and potentially ultimately unsustainable income tax burdens. They might involve higher, ring-fenced income taxes and National Insurance payments, reforms to inheritance tax, re-balancing private and public contributions to social care, or a combination or some or all of these. Most options are unpalatable and politically toxic. And nearly all of the levers are at Westminster rather than within Northern Ireland. Helpfully Involve, which organised the Northern Ireland Citizens Assembly, was also commissioned to organise one for two House of Commons committees on the issue of funding of social care. It called for social care to be free at the point of delivery with additional funds raised through a new compulsory social insurance scheme, a general increase to income tax, and/or an earmarked increase to income tax. It also supported the extension of National Insurance to be paid by people who work beyond state pension age. The Assembly rejected raising funds through VAT, council tax (rates) or inheritance tax. So if you add together the resolutions of the English Citizens Assembly to the Northern Ireland one a more complete picture starts to emerge both regarding policy direction and how it should be funded. What is striking about both exercises is that they demonstrate that ordinary people, chosen at random, can and will study policy options, deliberate on them and show a remarkable degree of consensus in suggesting ways forward in areas politicians fear to make decisive strides. This should give confidence both in extending the experiment, giving it official status and emboldening politicians and civil servants to listen more closely to the informed views of their own citizens. A full report on the Assembly is expected early in the New Year, meanwhile the resolutions can be accessed here.